Are you Primed for More Bat Speed? 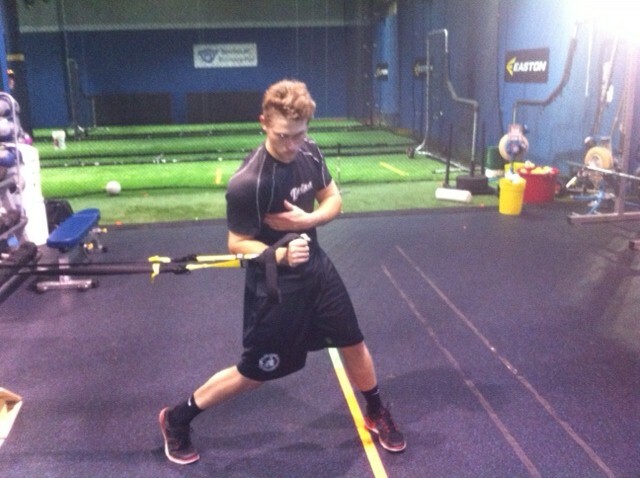 Add some POP to your bat with PAP in your Muscles!!! When the umpire yells’s “Play Ball! !” you want your muscles to be primed, excited and ready to go. The best way to make this happen is through a good warm up. A good warm will reduce your chances of injury which is of the upmost importance because you can’t play if you’re hurt but a great warm up also primes your muscles to produce more power at game time. The purpose of this article is to introduce a warm up method called PAP (post activation-potentiation) that is rarely used but has been shown to almost instantly increase the ability of your muscles to produce power. A recent research paper that looked at PAP’s effects on bat speed in the on-deck circle prompted me to write this article and share the information in this paper along with some simple and effective methods of instantly increasing bat speed. Author’s: T. Higuchi, T. Nagami, N. Mizuguchi and T. Anderson. Source: Journal of Strength and Conditioning 27: 216-221, 2013. The basic findings in this study showed that an on deck warm routine that induced PAP with isometric contractions INCREASED bat speed (1.27% or 0.86mph) while the on deck warm up methods of swinging a normal bat had NO effect on bat velocity while swinging with an overweight bat DECREASED bat speed (-2.94% or -1.98mph). These results I’m sure raise a lot of questions. Here are some answers to popular ones – let me know if I didn’t cover something that you want to know. Question #1 – Why do I want more bat speed? This one may seem obvious but I wanted cover all my bases (pun intended). Bat speed is vital to success in hitting. Not only does it allow you to hit the ball harder but it also enable you as a hitter to wait longer before deciding whether or not you’re going to swing. Both of these give you a better chance of driving in runs, reaching base and scoring runs. *Disclaimer: While bat speed is very important so is having the hand eye coordination and timing to put the barrel on the ball. All the bat speed in the world doesn’t do any good if you can make solid contact. If you want a reference here just look at Adam Dunn’s 2011 season stats (415 AB’s, 11 HR’s, 177 ThK’s & .159 Avg). Question #2 – What is PAP? Any time you contract your muscles they become both excited (aka POTENTIATED) and tired (aka FATIGUE). 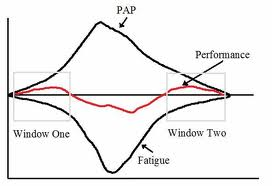 If you get your muscles more excited/potentiated than tired/fatigued you will experience the effects of PAP which means your muscles have the ability to produce more power. This is a good thing. However there is a fine line here because if you do too much the fatigue will mask the benefits of any muscle potentiation resulting in a decrease in muscular power. This is a bad thing. The graph here shows how potentiation (top line) and fatigue (bottom line) have a tug of war over muscle performance (red line). The two windows opportunity are when red line is above the horizotnal line which simply means that there is more potentiation than there is fatigue which allows for enhanced muscle performance. Place a barbell in the squat at a height that is half way between parallel and the top of the squat (basically the depth that you would go down to jump) and then load it up with way more weight than you can handle. Rest about 3 minutes and re-measure your vertical jump – it should be higher. The secret to creating a PAP effect on your muscles is to find activities that activate a lot of muscles without causing too much fatigue. Question #3 – What’s Isometric and how does it Produce PAP? An isometric contraction occurs when your muscles contract but there is no movement produced. This picture sums it up. These types of contractions are great at inducing PAP because you can contract your muscles as hard as you can while causing minimal amounts of fatigue since you aren’t actually moving. You need to contract your muscles for about 5 seconds in order recruit as many muscle fibers via the orderly recruitment of motor units. Sorry if I lost you there but basically it takes time to stimulate all the muscles fibers in a given muscle group which you need to produce a PAP in order to offset any fatigue. Question #4 – Why do Weighted Bats Cause a Drop in Bat Speed? Based on the information above we can conclude that if swinging a heavy bat on deck causes a decrease in bat speed that the muscles experienced more fatigue than they did potentiation. Weighted bats have been around for a long time and are the norm for most hitters because they make the normal bat seem a lot lighter and faster. This is misleading since this study and others as far back as 20+ years ago (DeRenne et al. 1992) have shown this to be true. The reason that weighted bat are still so popular in my opinion is that hitter’s think that they help. If you think something is going to help you then I say do it because the mental side of this game is huge – some experts believe that 90% of this game is half mental (Berra et al.). 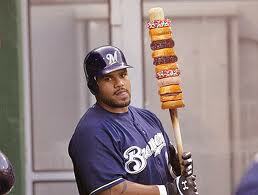 Weighted bats might actually work for some people but I think that you have to be pretty strong. 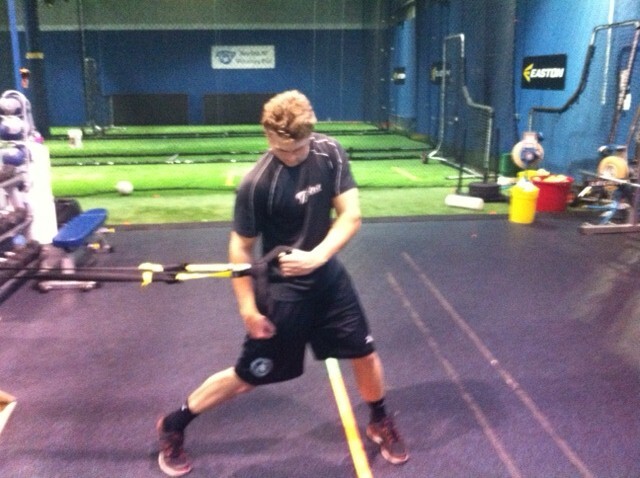 The stronger you are the less fatigue a weighted bat will cause you and your strong muscles. I can remember playing a guy that was a physical FREAK in terms of strength. 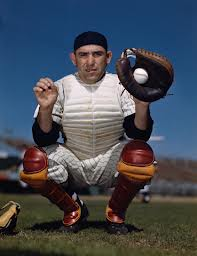 He would grab no less than 5 bats in the on deck circle and swing them around like he was holding onto a fungo and based on some of the bombs I saw him hit there was very little fatigue present. I think that weighted bats have their place during practices and the off-season as part of a under and over weight training program just like throwing weighted baseballs. But in this current study there is too much fatigue which masked the benefits of any potentiation that might have taken place. Question # 5 – How do I Increase my Bat Speed in the On Deck Circle? Here is the exact protocol that the subjects in the study did when they used the isometric warm up which produced increases in bat speed. The hitters performed four reps of max effort isometric contraction, 5 seconds, during the early phase of their swing (see pics below). A five second rest was allowed between repetitions. The first and third sets used the lead hand while the second and forth sets used the trail hand. They then rested for one minute and were then able to swing harder than before. 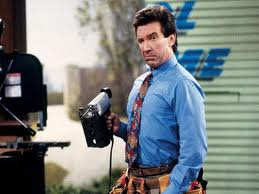 Question #6 – Does anything else work? If you don’t have a set up like this you can try a couple of vertical jumps. In a study done on golfers it was found that the performance of three jumps (countermovement jump) followed by a one minute break caused an increase in club head speed 2.25mph. Title: The Effects of Post Activation Potentiation on Golf Club Head Speed. The reason why an action like jumping would induce a PAP is that dynamic and explosive muscle contractions recruit a lot muscles fibers/motor units which coupled with the fact that they only did three obviously kept the fatigue factor at bay which combines for a PAP effect. Unless you think that a weighted bat help you I would say stop using them – you are better off just using a your game bat. If you want to keep using the weighted bat don’t add these isometric holds and/or the jumps. If you start doing everything your muscles will get really fatigued resulting in a big drop in bat velocity and it will look like your swing under water. I hope that this article has been informative and if you coach or play baseball you can very easily add this to your on-deck routine. If you aren’t ready to give up your bat weight just yet you can add these isometric swings into your training routine. This study actually had half of its participants continued on with an 8 week program were they simply performed the 4 sets of 5 sec isometric contractions 3 days a week and saw a significant improvement in bat speed. 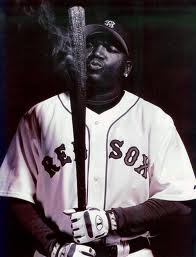 So go ahead and add some PAP to your game and you might just start swinging as hard as Big PAPi.